I’ve always been a Pippa fan. I think both sides of her are cute, and I always root for the one who isn’t going to rule England one day (I figure she needs it). 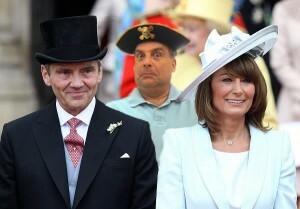 I was lucky enough to attend the royal wedding (You know, the one when her sister got married), a guest of Mr. P. Shop. 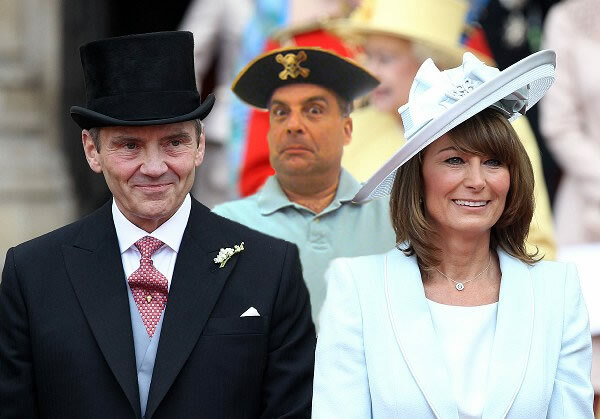 I had quite a bit of Botox that morning so I had a very strange look on my face, but I heard that hats were very important to the Brits, so I brought one. It seemed that Pippa took a shine to me and thought I was the Earl of something and asked me to pose for pictures with her and some red headed guy. She blushed when she read the sign I made for her. 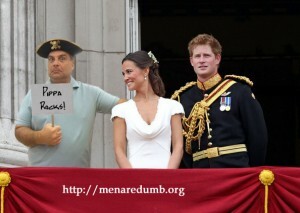 It’s a shame that the royal guards “escorted” me out so quickly after the photos. I told them I could quote almost the entire “Monty Python and The Holy Grail,” but it didn’t do any good. Just for that, I’m returning my Mr. Bean DVD Collection and I will continue to push my “It’s DOWNTOWN, not Downton Abby” petition to 500 signatures. You’ll see!